Nancy Pelosi should watch out. 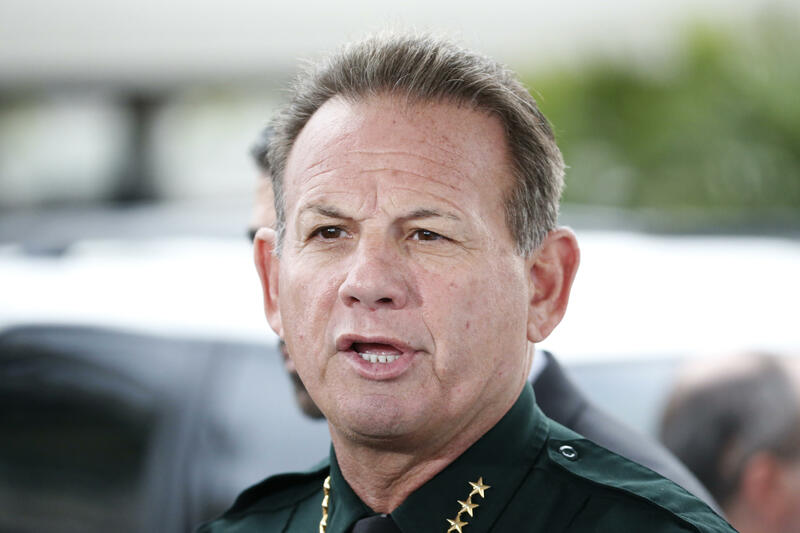 The minority leader has a challenger for the GOP's role of favorite Democrat to vilify, and his name is Scott Israel, sheriff of Broward Country. Following the shooting in Parkland, Florida, evidence has been mounting that he and his department likely blew more than one opportunity to stop the shooter from carrying out a rampage that cost the lives of 17 people. Among my Republican political-consultant connections, the assumption has been that Nancy Pelosi's description of $1,000 bonuses as "crumbs" would be the gaffe the GOP dined out on during the 2018 midterms. But Sheriff Israel has lately shown that he can combine all the elements that have made Pelosi the GOP's Democratic MVP — arrogance, extremism, and more than occasional verbal missteps —with a new, powerful ingredient: the ability to galvanize the GOP base on the issue of guns. By now, most Americans know that at least one—and perhaps as many as three—of Sheriff Israel's officers remained outside Parkland High School while a mentally unstable 19-year-old killed 17 students and injured at least 14 others. And most people also know Israel's department had several previous encounters (at least 23) with the shooter, ranging from complaints by neighbors to officer interviews. The record clearly shows that some of these incidents were actionable and, if reported through proper channels, could have prevented the killer from legally buying guns. "If 'ifs and buts' were candy and nuts, O.J. Simpson would still be in the record books." If you found that answer perplexing, don't worry about it -- Tapper didn't know what it meant, either. Whatever Israel meant to say, his answer shows a level of arrogance that the politically-active sheriff has been known for throughout his career. At a televised town hall last week, Israel took no responsibility for the failures of his department. Instead he presented himself as the protector of the public while suggesting the NRA is a direct threat. "You won't be on [our] side, until you start pushing for less guns," he told NRA spokesperson Dana Loesch. This is troubling because even as he stood on that stage, Sheriff Israel knew--though his audience didn't—that one of his officers took cover in the parking lot and left the shooter to roam the school halls. The very strategy Israel was advocating—rely on the police for your personal safety, not armed citizens—had failed, and he knew it. When the facts came out later in the week, Sheriff Israel's performance appeared shockingly dishonest. Instead of apologizing, however, Sheriff Israel doubled down, bragging Sunday morning that he has provided "amazing leadership" to Broward County. "I have led this county proudly… it's not the responsibility of the general or the president, if you have a deserter." High self-praise for a law enforcement official who just had 17 people killed on his watch. And it's part of a pattern. In 2016 when he was confronted by the Orlando Sun-Sentinel about his practice of giving cushy county jobs to campaign supporters and their family members, Israel said he was acting no differently than Abraham Lincoln, Martin Luther King and Gandhi. He also threw in Miami Dolphins coach Don Shula for good measure. In retrospect, CNN's anti-gun town hall starring the Broward County politician "amounted to a massive in-kind donation to the National Rifle Association," as Ben Domenech wrote in The Federalist. Yes, the crowd cheered Israel's anti-NRA rhetoric, but the long-term political impact is likely to be outside the BB&T Center. Across America, gun owners watched from home as the crowd cheered for a ban on all semi-automatic weapons, confirming their fears that, while the discussion may be about "common-sense gun laws" and modest restrictions like bump-stock bans, the real goal is a broader gun ban. Many gun owners also reject the premise that personal safety is a matter for the police and not armed citizens—a premise many in the gun rights community believe will lead to Australian-style gun confiscation here in the US. Sheriff Israel is fanning those fears as well. The day after the shooting, he was asked at a news conference wheter there were armed guards at Parkland High School and if armed police could "stop something like this." Israel answered,"If a person is predisposed to commit a horrific event like go into a school and shoot people…if a person is committed to committing great carnage, there's not a lot law enforcement can do about it." There's certainly not a lot law enforcement can do about it while hiding behind a minivan in the parking lot. At the same time, Israel was pushing for these same police to be given the power to detain people—without a warrant—and bring them in for an "examination" against their will, if the police found their social media postings disturbing. "Give police the power. If they see something on social media; If they see graphic pictures of rifles, of blood…horrific language; if they see a person talking about 'I wanna be a serial killer'–we need to have the power to bring that person before mental health professionals at that time, involuntarily, and have them examined." "People are gonna be worried about their rights," Israel added. "Well, what about the rights of these students?" It's often hard for the party in power to motivate its voters to turn out for midterm elections. If Republicans were looking for a conversation to energize both the pro-Second Amendment and Libertarian wings of the GOP coalition, it's hard to imagine one more powerful than the idea of giving police the power to detain gun owners over their social media posts. It's a conversation that's likely to be set aside if Florida Republicans get their way, and Gov. Rick Scott suspends Sheriff Israel from his duties.